Designed and manufactured by Racing Beat, the popular Power Pulse Miata Sport Exhaust System is intended for use on all 1996-97 Miatas. This complete cat-back, bolt-on system is easy-to-install and includes all required mounting hardware. 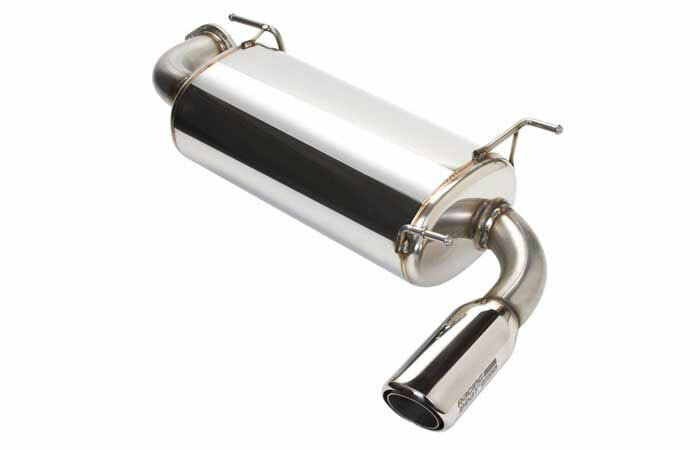 The Power Pulse Miata Sport Exhaust System is 50-state emissions legal and meets all California sound level requirements. 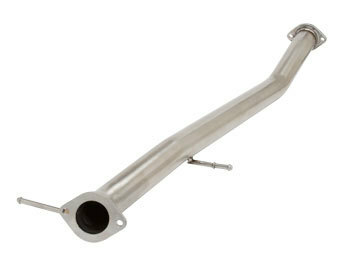 The Power Pulse Sport Exhaust System features a connecting pipe section without a presilencer unit for those Miata owners looking for a more aggressive exhaust note. While not obnoxious or buzzy, this Sport Pipe section will allow the exhaust note to rise moderately under acceleration. Constructed entirely from 304 stainless steel, this large diameter 2.375" OD connecting pipe section offers the perfect combination of performance and sound! The 1996-97 Miata Sport Pipe features a mounting fitting for the OBD-II required oxygen sensor.